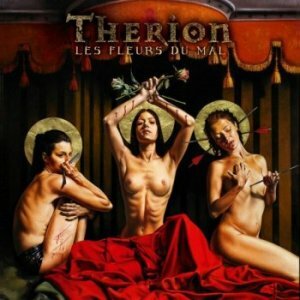 THERION - LES FLEURS DU MAL LTD. TOUR EDIT. (DIGI) | Online Shop | Wizard LTD. Album: "LES FLEURS DU MAL LTD. TOUR EDIT. 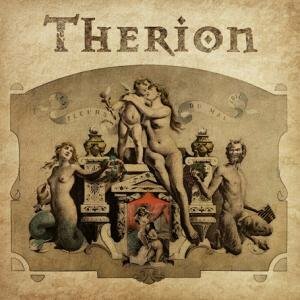 (DIGI)"
After the last THERION album released in 2010, which was “Sitra Ahra” and was mixed by ABBA legend Lennart Ostlund at the famous Polar studio, Therion returns in 2012 to celebrating the band’s 25th year anniversary with touring and a special art project, in which the album “Les Fleurs du Mal” is the core part. The album “Les Fleurs du Mal” is a part of an art project that Christofer Johnsson has been thinking about for some years. “The time was never right for it, but in celebration of the band&apos;s 25th year anniversary, I thought now will finally be the right time for it,” Christofer Johnsson explains. There are still many details that are unknown about this mystical art project, and so far only the album title “Les Fleurs du Mal” of Therion’s upcoming release can be officially announced. The album title refers to Charles Baudelaire&apos;s (French author and poet 1821 - 1867) famous poem collection “Flowers of Evil” (“Les Fleurs du Mal” in French) that caused such an upset of emotions in France that the author was brought to court and got fined for “insulting the public” with six of the poems, that remained forbidden in France until 1949 when the ban was finally lifted. The spirit of the project is a tribute to Baudelaire, and is imbued into both music and artwork. The album was recorded at Adulruna studio, located in a separate building next to Johnsson&apos;s decadent “Villa Adulruna” where the band lived together while recording. Now during Therion’s “Flowers of Evil” and the band’s 25th anniversary tour the audience can expect a classy performance which combines all the elements which have been the key to Therion’s success throughout the years.